Contact Beck Insurance for your full Farm Insurance assessment today! Beck Insurance Agency has the experience and expertise required to identify and measure your farms’ exposure to loss….and the markets and tools necessary to create a sound plan to properly manage those risks. Our comprehensive plans provide coverage for your primary home, rental dwellings, farm buildings, machinery, tools, autos, heavy trucks, grain handling equipment, farm and personal liability, livestock, fluctuating schedules for grain, seed and fertilizer, pollution, extra expense, succession planning with life and long term care, health, medicare supplements, and more. So now that your bins are full and your machinery is being put away, give Beck Insurance Agency a call at 419-446-2777. Let us demonstrate what we can do for you and your operation. 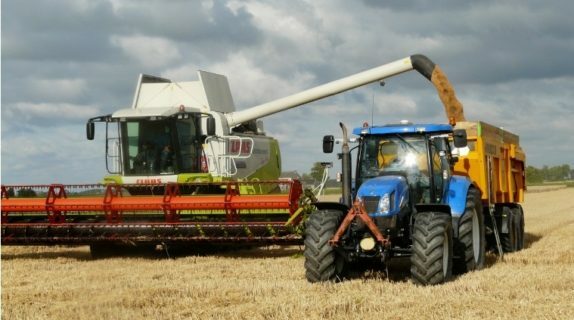 Posted in Blog | Comments Off on Contact Beck Insurance for your full Farm Insurance assessment today!